How are you doing?? 2012 is about to get over in less than 24 hours and we will welcome a New Year. There have been lots of parties, get together and hang outs before we could actually get back to our normal routine. 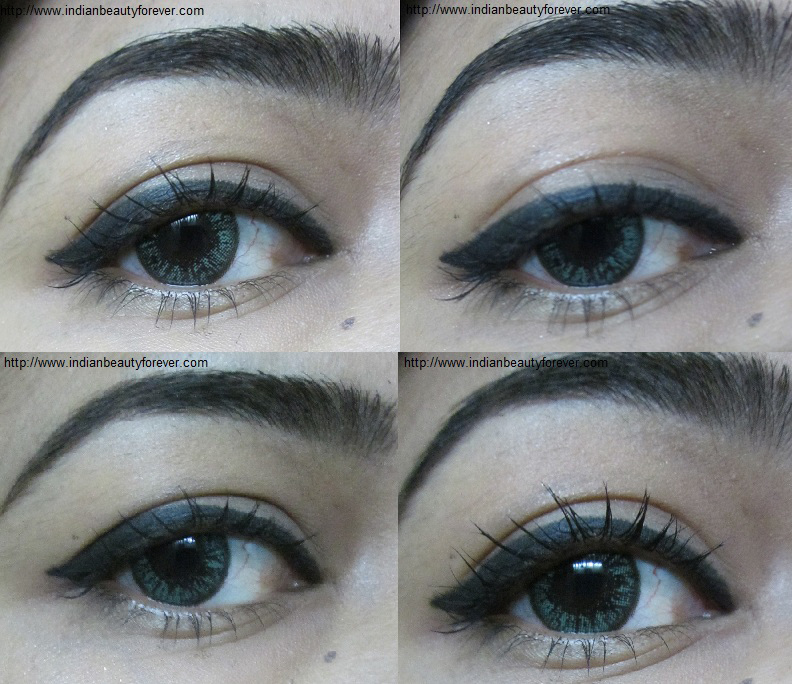 Today, I wanted to share this look which I I think will go well for the day time for New Year get together or party. It is quite simple look, nothing over the top just. This can be teamed up with any outfit and occasion as well I suppose. Winged eyeliner with an eye pencil rather than the highly pigmented, liquid eyeliner so as to give a little softness to the day look. A dash of highlighter on the high points of the cheekbones so as to make the cheeks glow and stand out. Soft Red lipstick considering the look is meant for the day or any color as per your preference. Eyes- I have used Maybelline Crayon eyeliner to draw a winged shape (I know it smudges but I created this look for the post so I could use it otherwise its not a product that you can wear and go out.. it is highly prone to smudging .:D). For the mascara I have used the Faces mascara. 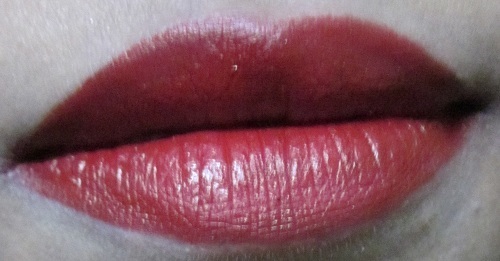 Lips- For the lips I used Inglot Lipstick no 82 more like a stain with a Lip liner brush. 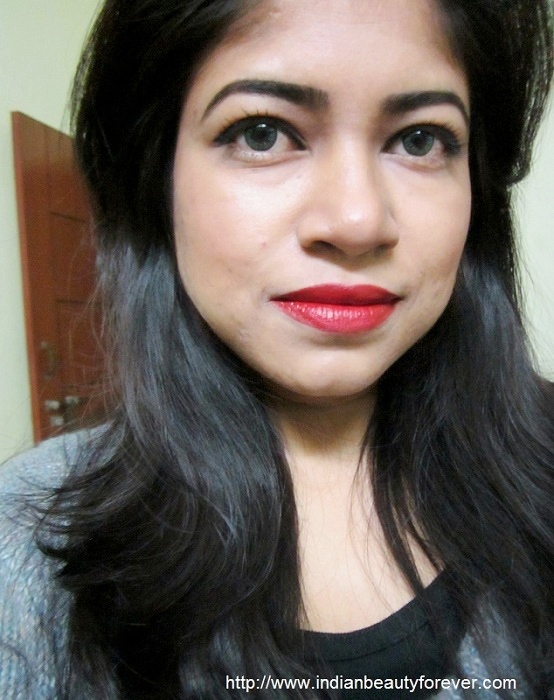 Face- For the base I have used Oriflame tinted moisturizer and Maybelline compact over it. Since it’s a day look I have skipped foundation, which in anyways I am not a fan of cakiness (looks horrible on me) and I want my skin to look like skin even if minor flaws or marks are visible. I do have marks due to pimples but You can anyways chose the type of coverage that you are comfortable with. Really pretty! I love the lip color. Glad you like my EOTDs. Try it, will look great! Love the makeup look Niesha :) the eyeliner is perfection pur! first time here, nice info on your space.